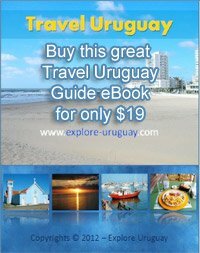 Uruguay Holidays are celebrated like many other countries around the world. Uruguay celebrates Christmas Day and New Year's Eve. Who doesn't love the chance to start fresh at the onset of a new year? Uruguay also celebrates many other holidays throughout the year. If you are thinking about exploring Uruguay, you should do so, while one of its many holidays is occurring. This will allow you to experience more of Uruguay's culture and make your trip even more memorable. January 6th marks the Epiphany because it comes twelve days after Christmas. It's a Christian tradition that symbolizes two major events in the life of Christ, when the three wise men came upon baby Jesus and when St John the Baptist actually baptized Jesus. This holiday originated before the Gregorian calendar was even invented; people have been celebrating it since the second century! People dress up, sing, dance and eat large feasts of traditional Uruguay food together. Carnival always falls on the same days as Good Friday and Easter. The Carnival season is a fantastic time to partake in a Uruguay holiday. The entire country, but especially the capital city of Montevideo Uruguay comes alive. Two remarkable parades, Desfile de Carnival and Desfile de Llamadas, take place, which are great fun for adults and children alike due to the bright colors and wonderful music. Tamboril drummers accompany the actors/dancers and the women provide a sensual presence in their elaborate gowns. If you enjoy Mardi Gras, you will be wowed by the Uruguayan carnival. Like most other countries, Uruguay shuts down its schools and businesses to celebrate the day it became free of outside influences. The people of Uruguay honor national heroes, and many hoist the National Flag of Uruguay. The people of Uruguay love parades, so there are plenty of them as well; some are accompanied by grand displays of fireworks and marvelous musical concerts. Another great Uruguay holiday is Dia de la Raza, which means Day of the Races. It is used in lieu of Columbus Day in Uruguay and other South American countries. The holiday focuses on highlighting contributions of the native people who were affected by the discovery and resulting colonization instead focusing solely on European contributions. Local culinary traditions are also honored on this day. This is a Uruguay holiday in which people commemorate deceased loved ones. Some people choose to set out candles and lights in cemeteries to attract the attention of spirits. Others make and offer food, which is left on altars that might also feature lovely flowers and photos of those whose souls are at rest. One of the highlights is the big public celebration, wherein people build and parade around mock coffins and create paper mache skulls. While Uruguay shares several holidays with other countries around the world, its celebrations are one of a kind. The capital of Montevideo is probably going to have the largest celebrations, but smaller cities in Uruguay will be just as fun during a Uruguay holiday. 1 Jan New Year’s Day. 21 Apr Landing of the 33 Patriots. 19 May Battle of Las Piedras. 19 Jun Birth of General Artigas (Día del Nunca Más). 25 Aug National Independence Day. 13 Oct Desubrimeinto de America. 2 Nov All Souls’ Day.